Another superb B&M hyper. We found the flattened bottom of the first and third drops enhanced the feeling of speed. Loved the second drop toward the lake. The banked turn into the final bunny hill run was a good element. Another B&M thatlives up to the hype. I enjoyed this ride, I did, but it just didnt do all I expected. I still say Magnum is the best Hyper around. My first hypercoaster ever! and still my favorite! i love hypers, and i love Intamin, but this B&M totally changed the way i looked, and thought about coasters! 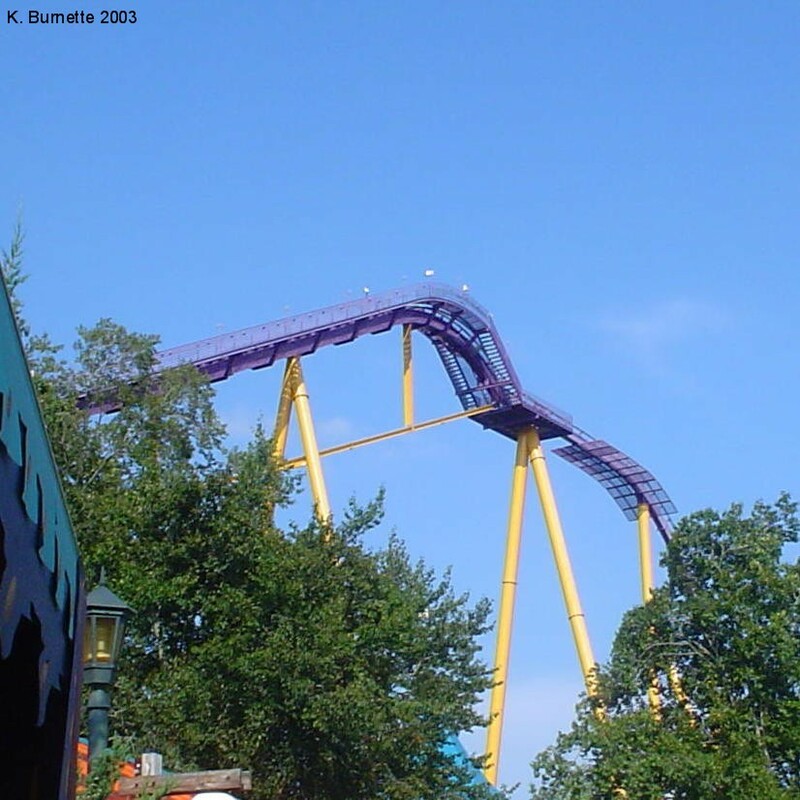 this is the one that got me into being a coaster fanatic, and so it can never be forgotten! The helix is great, but its that first hill that gets me everytime! This is my favorite roller coaster ever. I love the big drops, the smoothness, and my favorte thing is the restraints since they are so comfortable. I also think it has a great passenger capacity so the line goes fast. One of the best coasters in the world. Fast but not to the point where you cant see whats going on around you. Great air time. Good theming and good location. A must ride. Ive been on three B&M hypers. Id say this is tied with Nitro. But the layout is so boring, its just down and back. I like the colors, but its not nearly as good as Raging Bull. This ride was so bad, JK i really liked it. It was my first hyper coaster, and it was a good one to start with. The air time is great. Love the name. Love the trains. Love the air. My favorite part is after the helix when you swoop down kind of following the terrain then a steeply banked left into even more air hills. 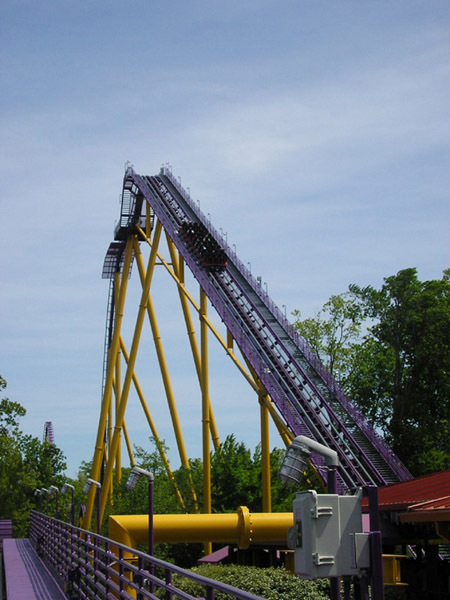 this my favorite B&M hyper coaster... it is soo much better then nitro and has great elements... the bunny hops at the end give a rider a lot of air time.